Comprehensive participant data base including data elements unique to your race. Any participant entered in a previous race can be carried forward into subsequent races without re-typing name, address, etc. Works for single-event races, biathlons or triathlons. Manage up to 999 races. Mailing label creation can select participants from multiple races. Flexible division and age groupings within each race. Team grouping and team relay capabilities. Series reports combining results from more than one race. 1280 by 720 screen resolution or greater is required. 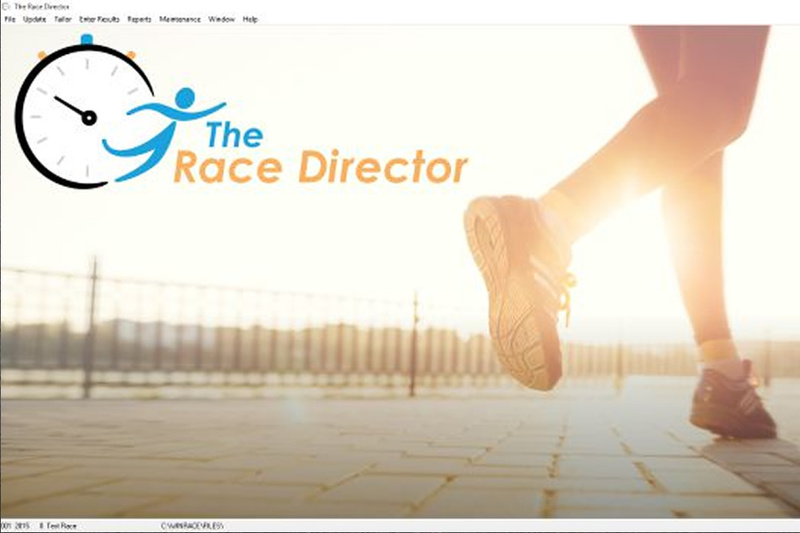 Race Director is not designed to run on "netbook" computers. Download the entire system at no cost (see Downloads). Try out the system to make sure that your race's requirements are met. The only restriction to the demo is the number of participants allowed per race (20). Let me know what requirements you have that are not met by the system. There is a good chance that your needs can be satisfied with no additional cost. Send me any data you have on participants from prior year or other local races. Your participant master will be built from this data at no additional cost. Phone and e-mail support is un-limited. Race day support is available, but must be pre-arranged.